So to get this wishlist post rolling lets start with Newlook. I always look in Newlook when in town and tend to find quite a few pieces that I fall in love with at first sight. Their pinafore dresses are such example. Though I don't typically go out skirts, shorts or dresses - jeans are part of my go to outfit - I can't help but want to add something like this to my wardrobe. Though pinafores definitely make me think of when I was in infant school and it was my uniform everyday, the way they are now being styled makes them look so elegant and chic. Next up are longline coats, I have actually tried this one on and I have to say it has such a nice feel to it. I have yet to own a coat like this, one that makes you feel chic and grown up, and trying this on definitely gave that feel. I also love the colour! Grey seems to be quite a trend for me when looking for pieces to wear this year even if I don't own much of the colour at the moment. Another piece out of the ordinary for me is culottes. This is definitely one of those pieces that some people can rock completely and others just don't like the look. Though I'm not sure if I can rock it, I tried a black culotte jumpsuit back before I went back to collage and loved it, and also totally regret not buying it - which only happened because my sister said it looked bad, but then she doesn't like the style in general. I totally regret letting her judge what I wear -_-. 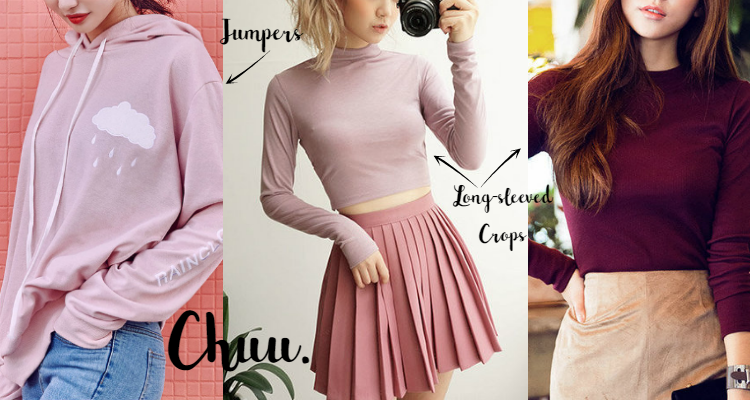 Chuu is a brand that I found out about from Fii at Little Miss Fii and after looking through the pieces from it on Yesstyle, I have to say I really like it. Though once again out of my usual comfort zone I do like this more cutesy kind of style as well. Such as the pleated mini skirt. I do really want to own one of these pieces at some point even if I don't know where I would wear it. I have yet to see anyone who doesn't suit one of these skirts so I have faith in it ^_^. Another piece that I've been loving - not only from Chuu but from other stores as well - is the hooded pullovers. I don't know if anyone knows my love for hoodies but there is definitely one. They are always super comfy and brilliant for colder autumn days. This one caught my eye on Chuu because 1.of the blush pink colour which, even if I'm not the biggest fan of pink, I actually really like, and 2.the little rain cloud print, which I thought was super cute. Finally from Chuu, are the long sleeve tops which might seems a bit basic for a wishlist, but I actually hardly own any long sleeve tops. My wardrobe is mainly short sleeve tops and jumpers/hoodies, so I just layer. But I kind of want to add these basic pieces to my wardrobe. Plus I don't have any of this colour in my wardrobe. 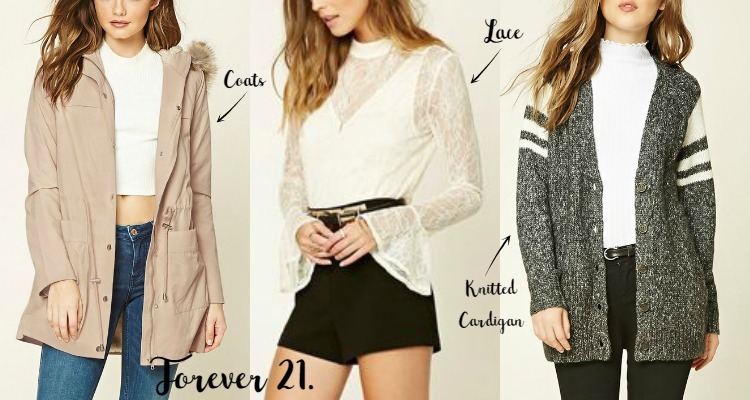 Last up of the stores I've been browsing online is Forever 21, I don't actually own any pieces from forever 21 since there isn't a store near me, but after looking online I've realised they have some really nice pieces. One being this Blush Pink Faux Fur-lined Utility Coat. I've been looking for a coat like this for a while, and need one as we get into the colder months. Now I just need to either find a forever 21 store or persuade my mum to let my order it. I have no idea if lace if in this Autumn, but this lace overlay top caught my eye while browsing forever 21. I don't own many more dressed up tops since I don't really go anywhere that needs me to dress up, yet this still made me click on it. Maybe I should just get it, so if I do go anywhere I will have something ready. And finally are knitted cardigans which for me like baggy jumpers are a necessity for Autumn/Winter. They are great to just throw on when it gets a little chillier. And since mine in my wardrobe are getting a little old now, I feel like it might be time for an update. So that's it for this post. 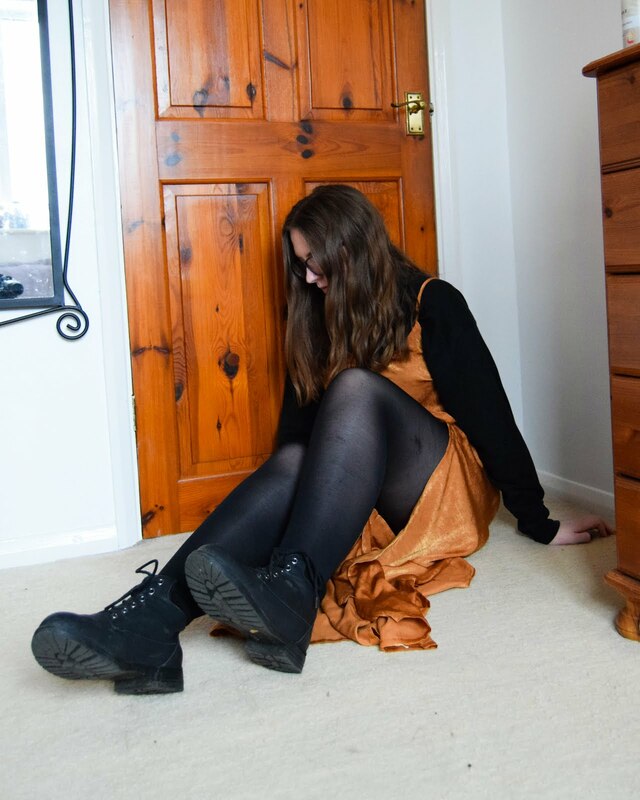 I'm trying to get back into blogging a lot more now, even if I only post once a week, and still don't have that much of a presence on twitter. 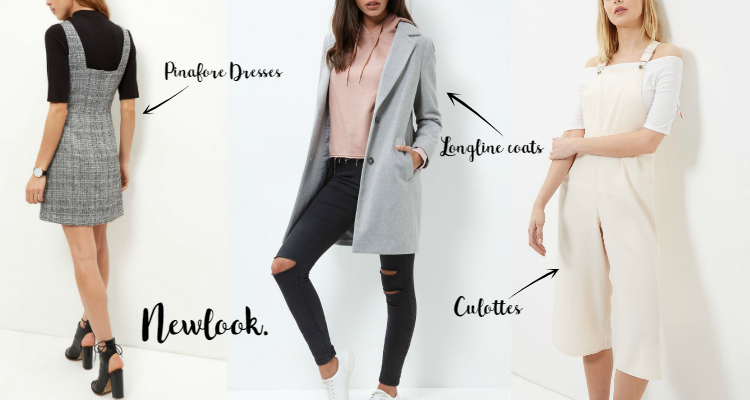 But anyway, are any of these pieces on your wishlist for Autumn? Or have you got others? I've just realised I haven't got any shoes in this wishlist, what shoes do you suggest for this time of year?